Looking to models ranking, the leader Nissan Leaf continued head and shoulders above the rest, but overall sales are growing at a faster pace than those of the japanese hatch, making it loose 3% share in the last four months. 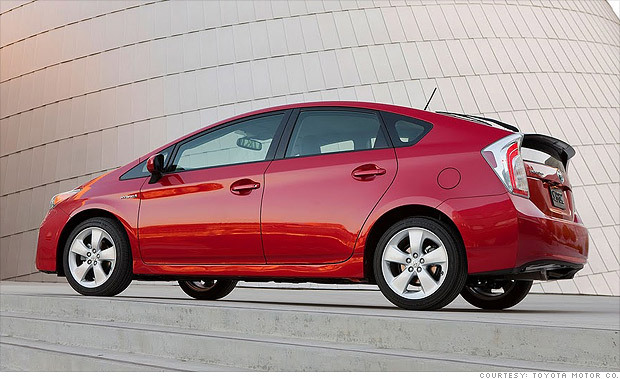 The Outlander PHEV and Model S had below par months, but the Prius Plug-In had it worst, selling just 1.155 units, its worst showing since 2012, with the regular Prius also showing signs of falling sales, it is clear that Toyota's Eco-Star is desperately needing a makeover. But for every loser, there's a winner, and this time they are the BMW i3 and Kandi EV, beating their respective sales records, and climbing to #6 and #7 respectively, at the expense of the Ford Fusion Energi, which dropped two positions to #8. Behind these three, the #9 BYD Qin (1.316 units, for the zillionth eighth consecutive time, new personal best) distanced itself even more from the #10 Ford C-Max Energi. BMW has beaten yet again its sales record (1.921 units), climbing to #8 and pressuring the ever-improving BYD for #7. After losing to BMW the #8 spot, in #9 we now have Renault, which had another horrible result (Just 974 units), which is eons behind the monthly result of the #10 Kandi (Only 312 units behind), but it is also behind the 1.274 units that the #11 Volkswagen sold last month. 1 - Which model will be #6? 4 - ...Or will Chevrolet get even closer to Ford? 5 - Will BMW reach to #7? 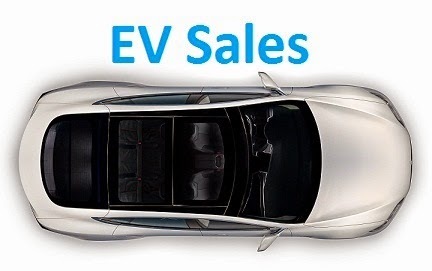 With 1.917 sales last month, the japanese market was down 22% regarding the same month last year,dragging down the EV Share to 0,90%, less than the 0,92% set last year. The Leaf won again its duel with the Outlander PHEV, which has sold just 457 units last month, are buyers already waiting for the new model? Good result for the BMW i3 in Japan, with regular three digit sales, making itself noticed on this difficult market. Looking at the manufacturers ranking, Nissan (45%) extended their lead over Mitsubishi (40%), and it looks set to recover the Best Selling Brand title. With some 6.600 units sold and still without the Italian and Belgian numbers, the European EV market continues in good health, with sales up 55% regarding last year (4.253 units then). Looking at the models ranking, the BMW i3 climbed to #3 at the expense of the Tesla Model S, which had another poor performance, selling just 460 units, stock issues or is Tesla getting back to reality? The Renault Twizy climbed to #9, with the summer sales giving it a welcome boost, but the #11 VW E-Golf (#4 in August with 603 sales) has its tiny rear on target, looking to jump two positions next month. Several position changes in the second half of the ranking, with both Opel Ampera and Panamera Plug-in climbing three positions (To #14 and #15, respectively), and Audi arriving fashionably late to the plug-in party, with its A3 e-Tron landing directly at #21, with 227 sales, not bad considering it only went on sale in its domestic market. On the manufacturers ranking, Mitsubishi is comfortably in #1 with 21% share, followed by the Alliance partners, Nissan and Renault, both with 15%, but VW (#6 with 10% share) is rising fast, having been the Second Best Selling Brand last month. 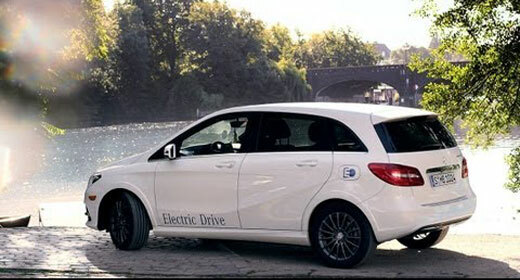 The chinese EV market resumed the growth path that it had made this year, bringing record numbers to the table, with more than 5.600 units sold, pulling the EV Share up 0.03% to 0.25%, three times above the numbers recorded last year (0,08%). Looking at the models ranking, the #1 Kandi EV continues to impress, just like the #2 BYD Qin (New record, now at 1.316 units), while the #4 Zotye E20 seems to have found its cruise speed around 700 units/month. The ranking now goes down to #7, where we find the BAIC E150 EV, which had a brilliant month last month, coming close that month to the current #6, the BYD e6. While we wait for the complete numbers from China (Hint: BYD Qin has beaten yet again its sales record), we have the numbers from Poland, a rare sight here on EVS, but the numbers are now starting to deserve a mention. With 48 plug-ins sold this year, sales aren't exactly skyrocketing, but they are already above the previous record of 39 units, and with still one third of the year to go, the EV Share is now at a brilliant...0.019%. That, compared with the 0,010% of last year it is a 90% improvement, and how they use to say, you have to learn how to crawl before you learn how to walk. Looking at the models ranking, the BMW i3 is king and has reached the record 22 sales of the Mitsu I-Miev in 2011, still the best performance for a single car here. A mention for the worthy performance of the Tesla Model S, in #3 with 7 sales, as well as the first registration of the BMW i8, these last two cars seem to be fulfilling the role of plug-in explorers, planting the ceed of ev's in markets with little reception to plug-ins. While we wait for China numbers, the most anticipated market of the season (Will Kandi and BYD continue to grow indefinitely, how will Tesla and Zotye behave, will there be any new model arriving? ), i've decided to share with you some of EV Sales statistics, which show a stable growth in views since Day One, for which i am thankful to all of you guys (And girls), and it gives me the drive to continue with this project, 265.000 views later. As you can see, there are a couple of surprises here, if France and the US doesn't surprise anybody for being on top, Germany is a rather surprising Number Three, just like Japan in #4, i don't have much feedback coming from those parts, but it's nice to see that EVS has a following there (By the way, does anyone there knows the sales numbers of the Accord Plug-In there?). Finally, Russia. Despite a symbolic (To say the most) market, there are many followers there of electric cars scene in general, and EV Sales in particular, with much feedback coming from there, i must thank our Russian followers for their enthusiasm, especially considering that it must not be easy to EVangelize (Joke intended) their compatriots to plug-in cars. Next in #2 we have the sales history of plug-ins in Norway, back from the 90's until today, this is something that i will look up to do something similar to other markets in the future. The Norway and Europe articles are also popular, with the first one being analyzed by many like a case study for the future in other EV markets.